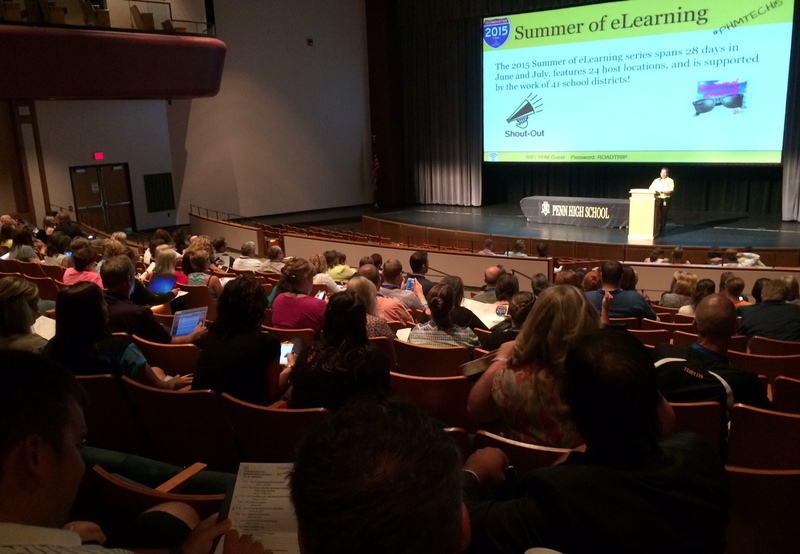 It couldn’t be more appropriate that our 2015 Summer of eLearning comes to an end at a conference whose theme is “Road Trip,” at Penn High School, whose address is Bittersweet Road. With 24 stops on the path, reaching the last is indeed bittersweet. Penn Harris Madison’s Technovation Conference shared the road map of a district focused on high-quality learning opportunities, as they have infused digital tools in their classrooms. Their keynote was Dean Shareski who shared a framework that includes skepticism, play, and purpose. He encouraged participants to reserve judgement and be open to the possibilities with each new technology. He also cautioned against thinking about technology in terms of ‘Digital Dualism.’ Technology isn’t inherently good or bad, and we aren’t implicitly online or offline. What matters is what we want to accomplish with the technology, and how we can use it to connect with each other. Lisa Kreiger is an instructional technology coach and math teacher at Penn. Her session was designed to help leaders who are thinking about ways to support their staff in using instructional technology. Kreiger explained that continuing to teach part time ensures that, as a coach, she stays in touch with the needs of teachers. It also allows her to model new technologies with her own class. When she’s not teaching her own students, she is building relationships with staff members, listening to their needs, and curating resources for their classrooms. Her session was full of great suggestions about how to share info, ways to connect with staff, and steps to build capacity. For a closer look at what Kreiger has learned through coaching, check out her excellent slides. One of the most tangible benefits of having individual devices for students is the capacity for differentiation. Kat Lubker is a master of many tools that make it easy to meet students where they are and learn in the mode that fits their personality. She shared a couple of favorites in her conference session. Blendspace allows you to curate videos, documents and websites in a simple drag-and-drop interface. Check out the blendspace version of Lubker’s presentation for an example. Another powerful time saver she recommended was the Super Quiz Add-on in Google Forms. While it requires some meticulous setup, Super Quiz can automate instantaneous feedback for any assessment, emailing students follow-up questions and extending activities based on their performance. Park Ginder, 30 years in education and currently Principal at Homestead High School, knows that using “eLearning” days for inclement weather make-up (IDOE Virtual Option), and as part of the IDOE Flex program, has taken blended learning in school to a new positive level. 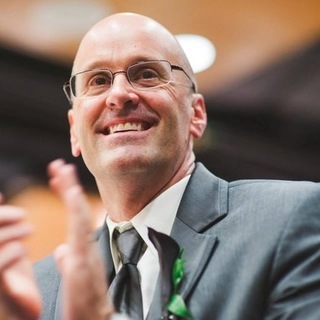 As a 1:1 school, Ginder’s mantra is: “We don’t want the computer in front of our students to be a $2,000 pencil.” Using “eLearning Days” has been the catalyst for the implementation of technology into the classroom on regular scheduled days. Ginder’s staff and students have worked through many challenges of learning digitally and came to these conclusions about the days. The leap forward in instruction was noticed by the students. eLearning fostered unplanned collaboration among peers. Student to teacher learning increased significantly making teachers co-learners with students, and teacher-to-parent communication increased significantly! What they didn’t see coming: it helped keep the staff fresh, the PD and new ways of learning, attendance rates went up, sub day/sub plans and teacher absence days improved markedly, and teachers could still be evaluated on snow days. Ginder’s advice: Don’t wait for everyone to get on board. Start moving and be unrelentingly positive about your direction and plan, AND plan the heck out of it! Email Ginder (PGINDER@sacs.k12.in.us) for samples of planning and communication samples. Traveling around the state provides a view into how learning is happening in many classrooms, and one tool that has been spreading is Canvas; a learning management system from the company Instructure. Adam Pitcher, K-12 Regional Director @Canvas took participants on a tour of some of the many tools within Canvas helping to make teaching and learning go smoothly. One popular with teachers is Speedgrader. Speedgrader allows educators to view and grade student assignment submissions in one place using a simple point scale or complex rubric. Canvas accepts a variety of document formats and even URL’s as assignment submissions. Some document assignments can be marked up for feedback directly within the submission. You can also provide feedback to your students with text or media comments. The Calendar in Canvas is an extensive tool for organizing and sharing work. 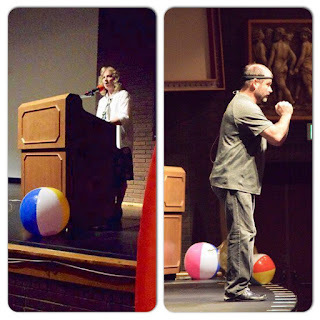 The Summer of eLearning once again welcomed Kevin Honeycutt to inspire, challenge, and inform his Keynote audience. If you EVER have the chance to hear Kevin in person-Do!! From how the brain works to how all educators touch lives- Kevin engaged his audience with great stories and information. One message that Kevin stressed is that educators need to tell their own story and the stories of their students. If not, others will. Follow Kevin and you will find yourself connected to a huge network of outstanding learners all over the world. Time, location, and lack of funding are no reason that today’s students can’t visit and learn from people and places all over the world! 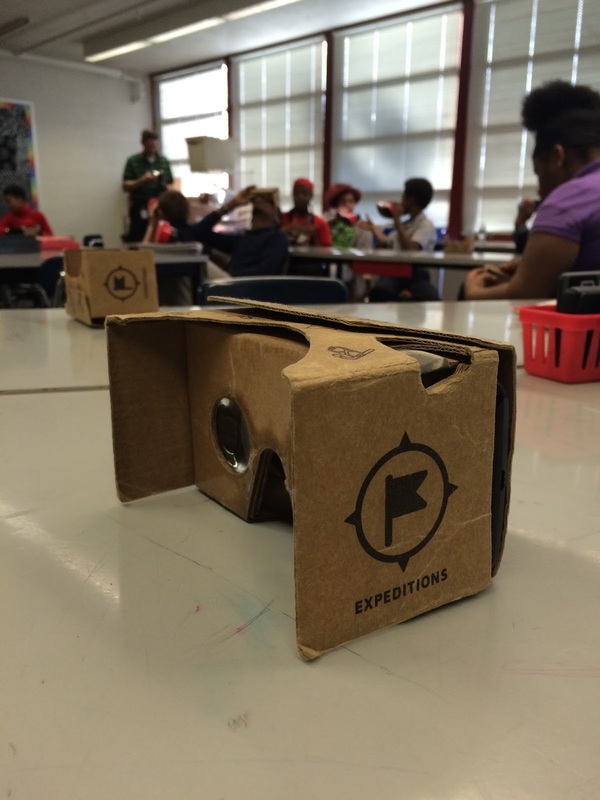 Virtual field trips can bring those experiences to our classroom. 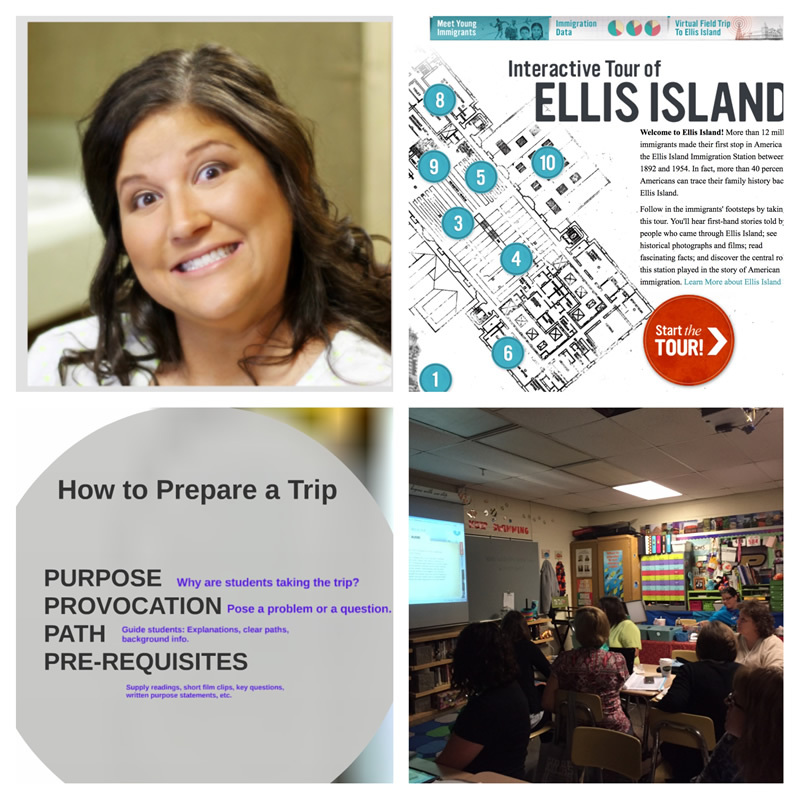 Christy Diehl, teacher and instructional coach at Lafayette Jeff High School, took the diverse group of educators through the why, what and how of bringing this opportunity to your classroom. There are 4 main types of field trips: fact finding trips, aimed at exploration of one topic; cultural explorations, learning about others around the work; concept application, theory to real-world practice; and primary source tours, providing first-hand knowledge on a topic. And don’t just do a field trip to be doing a field trip. Follow the 4 P’s: Purpose, Provocation, Path, and Pre-Requisites. Diehl took the participants on virtual trips during session. Two that got ‘oohs’ and ‘aahs’ were Scholastic’s Interactive Ellis Island Experience and the app Sphere. Get more resources in Diehl’s presentation. Kyle Kline, tech coach/math coach at Delphi Community High School, led a packed room through his session, “4 Ways to Create an Interactive Math Classroom.” The first tool Kline shared was Padlet, an online corkboard which you can use to post text, images, links or videos or upload images or PDFs. Try using this when you’re absent to give your kids problems to work on and they can ask questions or, better yet, answer each other’s questions. Desmos is an online interactive graphing utility. Create a graph then share via email or embed into another application. Insert an image and use sliders to make changes to the graph to represent the image and have a discussion about why the changes occur. Kline also shared Exit Ticket, an online assessment tool. Students work through problems and the students and teachers receive immediate feedback. Use this as a bell ringer activity while you’re taking attendance and know whether or not your students understand the previous day’s lesson and homework assignment immediately. Formative allows you to upload a PDF worksheet and insert answer boxes. Try this as you’re working toward a paperless classroom. Students and teachers will receive immediate feedback as students work through problems. Joe Willmann, Director of Technology and eLearning for the Lafayette Catholic School System, led a hands-on session on the fundamentals of getting your instructional videos online. Willmann made the prediction that the new wave of eLearning days is only likely to grow, which means it is important that we fill our virtual learning with high quality content. Strong instructional videos are a powerful tool teachers can use to accomplish that goal. For capturing and editing video, Willmann pointed toward software tools like TechSmith’s Snagit and Camtasia, Educreations, or Telestream ScreenFlow. On the hardware side he demonstrated the Swivl for classroom recording via iPad/iPhone, and a Blue Snowball Mic for crystal clear audio. For publishing, Willmann encouraged participants to make the case in their districts to unblock YouTube for hosting this dynamic content. 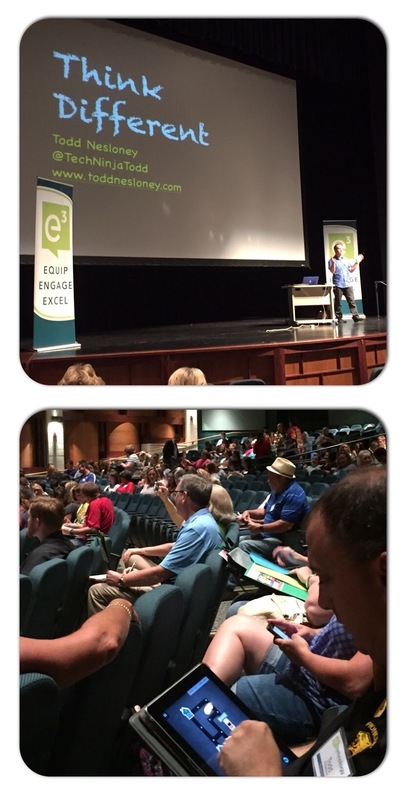 Tune it to #elwave15 and #INeLearn for more great learning from this fantastic event! If you still haven't made it to one of the excellent Summer of eLearning opportunities, you only have a couple of days left! The final week of conferences kicked off today with Warsaw's e3 (Equip - Engage - Excel). Keynote Todd Nesloney (@TechNinjaTodd) started the learning by imploring attendees to get connected. He said, "There is a clear divide growing now in education between those who are connected, and those who are not." One of the opportunities available to connected educators is to make a virtual connection with other educators. 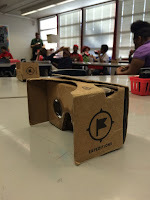 Nesloney says that his class did between 40-60 Google Hangouts through the year to connect students to the world. He also described Mystery Skype sessions where classes across the globe connect and trade questions to try to discover where the other class lives. He encouraged schools to take control of their own brand on social media by "flooding the system" with all of the great news coming out of our classrooms. Nesloney shared powerful examples of how amazing our students can be when we allow them to engage their own innate creativity. He said, "My students' limitations were eliminated when I stopped creating the limits." 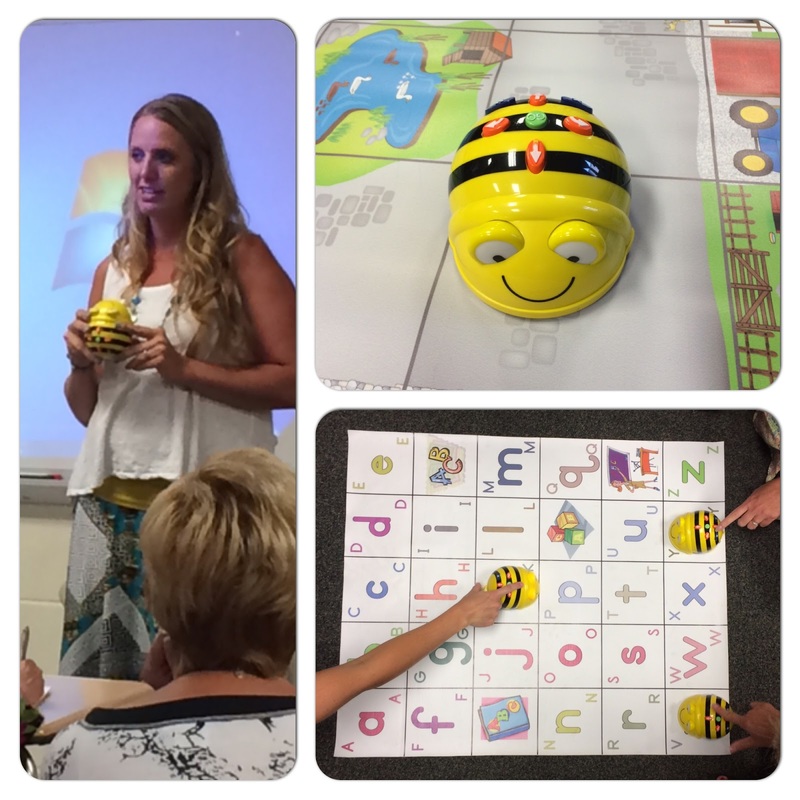 Session one featured Gina Courtois who shared how she uses Bee-Bots to teach programming to students in early elementary grades. Like she does with her students, Courtois put the cute little bee-shaped "floor robots" into the hands of attendees and allowed them to discover what would happen when they try the simple programming buttons on top. As kids direct the robot to follow various maps, they not only learn about programming and spatial relation, but they also refine their counting and measuring skills. To learn more about Bee-Bots, see them in action in this video, or check out this post from Edutopia. Can't purchase robots in your budget for this year? No problem. There's also a free app for iPad that works the same way. 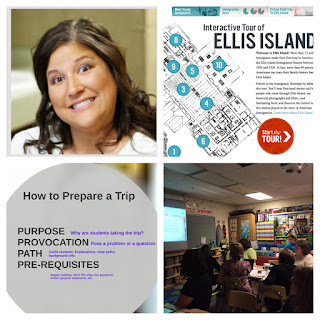 for just about everything to make life easier for educators and more engaging for students.” Her presentation offered a tour of some of her favorites. For organizing yourself, try 30/30. Students also need help organizing and myHomework can do just that. Ed Puzzle lets you embed questions into videos and track student viewing and engagement with content. GoSoapBox provides real time insight into students’ learning. Math teachers found Virtual Manipulatives an easy, free way to provide hands-on learning in a myriad of ways. 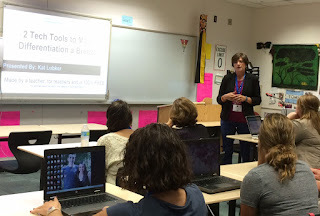 Check out Brandi’s presentation to build your toolbox. After lunch, Val Weinstein and Dr. Chris Boyd presented the session "Apps for Secondary Education." 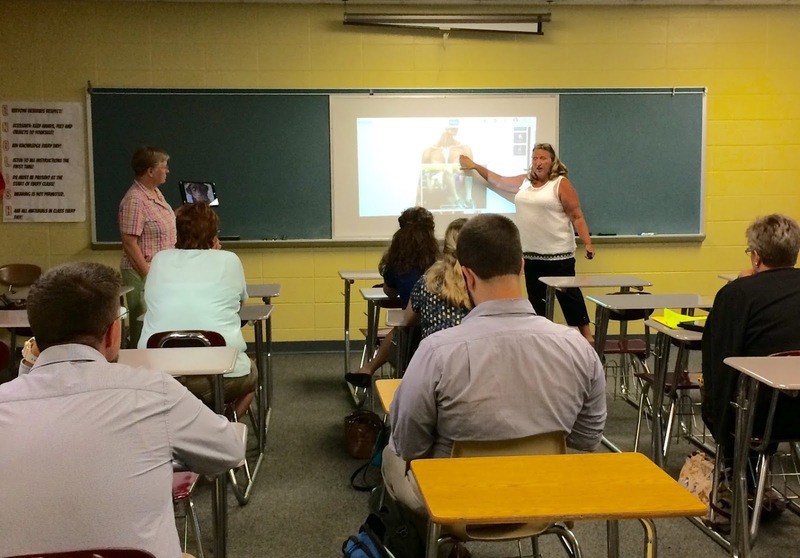 These two enthusiastic teachers shared their very favorite apps like: Thinglink, Pic Collage, and Notability. They mentioned the trending concept of App Smashing, which involves using multiple apps to accomplish tasks or demonstrate knowledge. For student presentations, they like Haiku Deck, Socrative, Kahoot, and LearnZillion for creative alternatives to PowerPoint. step through the expectations of the IDOE Virtual Option for Inclement Weather. Pioneer has used the Virtual Option as a make-up day and also on an actual snow day. A good point made by Spear is that Pioneer teachers and students use digital learning tools everyday, so the Virtual Option is something that fits the usual business of learning. Online platforms they use to ensure teachers and students can interact online include: Canvas, Moby Max, IXL, iStation, Google Apps for Education (work can be synced before students leave school). To ensure teachers are directly reachable during eLearning time Pioneer uses email, Remind, and messaging within their LMS, Canvas. Stay tuned here and on #INeLearn. We'll be writing from Lafayette Jefferson tomorrow and Penn High School on Wednesday. Hope to see you there! 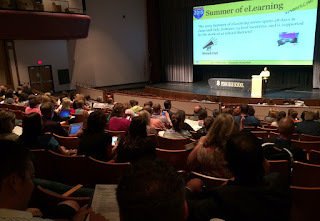 The Summer of eLearning headed South and made its way to Jeffersonville High School for the Clark County Connected Conference C4IGNITE! In its third year, C4IGNITE host Greater Clark Community Schools partnered with Clarksville Community Schools and an impressive group of Sponsors to bring outstanding speakers, sessions, resources and innovative ideas to the over 850 registered attendees. As with all summer conferences, you can follow the learning through Twitter, #ClarkCountyCC and #INelearn, but at C4IGNITE you can also follow a live stream. The morning opener was kicked off with video testimonies from students sharing what they want their teachers to know. Tears, smiles, and reflection from the audience. What an excellent reminder that our students have hopes for learning...and are we listening? Keynote Speaker, Dean Shareski, former teacher and Digital Learning Consultant with Prairie South Ideas and Thoughts. Opening C4IGITE, Shareski challenged, informed, and inspired the audience to consider What Happened to Joy? How do we increase moments of real engagement in our classrooms? He shared 4 ideas for planning and designing for joy. 1- Find your unfair advantage. What do you do that no one else does? What makes you an interesting adult? Teaching is inherently a job about relationships-share yourself. 2- Be aware of wonder. We don't have to have the answer for everything, sometimes its good to think and reflect about things. As teachers, model wonder and life- long learning by being a "Meddler in the Middle." Show students you are in the learning with them. 3-Do we incorporate play in the learning? Can we think of play as research? How are you fostering an attitude of play with your students? And finally, 4) Just do it. Take the risk. Don't Postpone Joy. C4IGNITE offered hundreds of sessions throughout the day! Allison Schalk welcomed a good blend of teachers and administrators to her session Service Learning is Learning! Schalk took the group through the planning and implementation of a student created, developed, and implemented service learning project, "Lanesville Life Fest"-a festival to raise money and awareness about cancer. Students have a deep interest for making a difference, so bringing service into the classroom engages them and adds relevance to content. Writing, speaking, research, content knowledge, digital citizenship, persuasion, problem-solving, and collaboration are skills that are key to a successful project. To get students focused on what project they might want to tackle, pose the question, "What breaks your heart?" Frame their thoughts on things that are important in their own school and community. Find resources for getting started like Belk's Service Learning Challenge by connecting with Schalk. Alicia McAfee and Janelle Lewis to learn how to manage and relieve stress- something all educators and administrators experience daily in their work. While stress is a normal response- managing it is key to positive health. We tend to look to things that are occurring to us, like deadlines, etc...but the root of the stress can be our actions toward those things. Procrastination, disorganization, negative self-talk, expectations/perfectionism, chronic worry, and over scheduling are all root causes of bad stress. After identifying the roots of stress, everyone took a "stress-break" with a few minutes of the Macarena. Students many times need a break where they can release some stress- short songs or dance breaks can really help them to refocus. The group explored ways to defuse stress and then took a meditation break- which has been proven to not only relieve stress, but to improve learning focus with students. Connect with Alicia and Janelle for more ways to manage stress. two high school students to the discussion. They shared their ways of interacting digitally- Tumblr seems to be the app currently. The students also said that the most memorable learning experiences they have had offered them time to work and complete, had an element of fun, that the pressure to get an A was not the goal, and that it was real and relevant to life. Beyond this wonderful student exchange Dillon offered ways to bring about change and the importance of getting to yes! Check out his book, Leading Connect Classrooms, for more from Dr. Dillon. Boice.net. They reward innovation by honoring educators with a monetary prize and recognition. Learn more about this year's honorees: Jill Sceifers, Allison Schalk, Roxanne Koopman, and Chantell Manahan in their nomination videos. It was great day in Jeffersonville as everyone had an amazing day of learning. Stay tuned next week as the Summer of eLearning winds down at Warsaw, Lafayette, and Penn Harris Madison. We will be there, will you? After four years of hosting Knight-Time Technology, East Noble School Corporation joined with MSD of Steuben County to sponsor IntegratED. They had two strand options this year -- the traditional conference style and an unconference. Google Apps and Extensions quickly become the most popular topic with the unconference participants. After a welcome by Joanna Cook, East Noble School Corporation, and Kelly Clifford and Amy Heavin, MSD of Steuben County, the PIRATE himself, Dave Burgess, took the stage. For conference attendees who weren't quite awake, Dave's energy and passion quickly brought them to attention. Dave shared his PIRATE principle -- passion, immersion, rapport, ask and analye, transformation, and enthusiasm. Much of the presentation was spent on the the topic of passion and the importance of finding and sharing your content, professional, and personal passions. If you're not using hooks to get and keep your kids' attention, you should be. Some of the hooks that Dave shared are swimming with sharks, taboo, board message, mystery bag, and props. Dave asked the audience some tough questions: If students didn't have to be in your classroom, would they be? Do you have any lessons you could sell tickets for? If you don't like the answers to those questions, what are you going to do differently this year? Want to know more about teaching like a PIRATE? 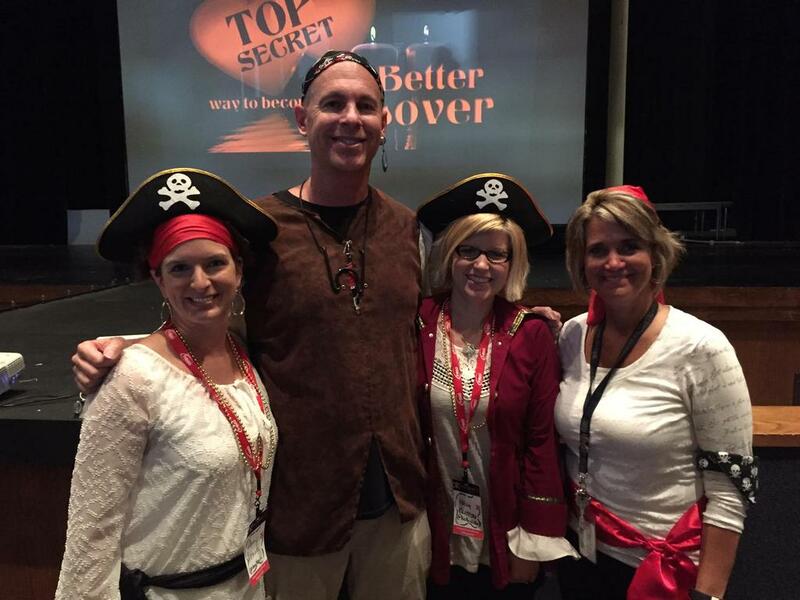 Check out Dave's book, Teach Like a PIRATE and join in the Twitter conversations using the hashtag #tlap and connect with other PIRATE educators. 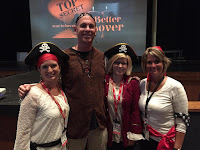 The #INeLearn book club read Teach Like a PIRATE in the fall of 2013. Check out the archives of the book club blog and see what fellow teachers shared about the reading. 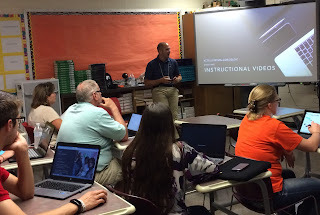 The first session I attended was "Using Web Creation/Documentary Film Making as a Unit of Study" with Luke Amstutz, social studies and digital media teacher and football coach at East Noble HS. Luke takes a standard, breaks it down, and turns it into a creation unit, utilizing web design and documentary film making. His students are creating something that will be helpful when taking the test. Luke has his students utilize Weebly to create websites, which is simplified by the fact that his students have Google accounts and they use that account to log in to Weebly. Luke has his students do a different media project for each of the 5 standards he teaches. One example of a movie project that his students do is the creation of silent films about a variety of topics having to do with the 1920s. He then combines all of those into one full length movie. Do you have access to a green screen (or do you have a piece of green fabric)? He suggested having students use green screen to insert themselves into historical events. Luke shares examples of projects done in the past as well as rubrics to let his students know what is expected of them. Chantell Manahan, wears many hats at Angola High School, including English teacher, High Tech Hornets student tech team sponsor, and Tech Mentor and presented on the topic of Authentic Audience. Chantell wanted the work that her students were doing to be for more than just her. She shared a quote by Rushton Hurley, NextVista for Learning: "If students are sharing their work with the world, they want it to be good. If they’re just sharing it with you, they want it to be good enough.” Not only did Chantell share her ideas on authentic audience collaboration, but she encouraged the session participants to join in the conversation in a collaborative Google Doc. She shared ideas in the areas of sharing with peers, school, and community; blogging and publishing; social media; and Skype and Google Hangout. 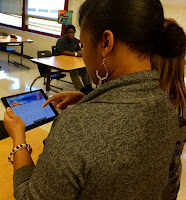 Some things that her students have done are performances in their classroom and record and share, create QR codes to book reviews and presentations and display those in the library, and use Kidblog to have her students blog about their reading. Last year, Chantell tweeted from her Twitter account about class activities, but this year will have class accounts and will have students tweet from those accounts, kind of a Twitter takeover. 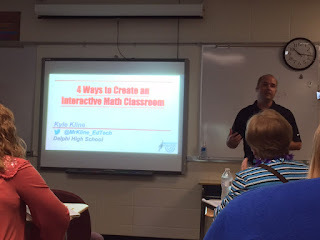 For those conference participants looking for more PIRATE, Dave presented a breakout session called "Teaching Outside the Box: A Crash Course in Creativity." Creativity is a word that has a lot of mystery around it, but according to Dave creativity is just making stuff. We're all creative beings, we just don't give ourselves credit for it. Questions are the key to creativity. Change the questions that you ask in order to change the answers you get. Dave spent much of the session sharing some great ideas to bring creativity into the classroom. One of the most entertaining examples was Mr. Vaudrey's mullet ratio. The 7th week of the Summer of eLearning wound up at Noblesville's iPadPaloozaIN! This first time 500+ attendee event, held at Noblesville High School, opened the learning with Ignite speeches featuring educators sharing ideas and passion for learning in the digital age. Ryan Bruick, Shelley Coover, Amy Everhart, Kristin Patrick, and Sarah Thomas ignited our thoughts on grades, formative assessments, Google apps and extensions, transforming with a camera and collaboration for professional growth. After this inspiring kickoff, attendees to the conference were presented with a wide selection of excellent sessions both as workshops and concurrents throughout the day. Fifth grade teachers from each of Noblesville’s elementary schools came together to share experiences from their first year of 1:1 with iPads. This talented panel spoke to a room full of educators who indicated they are about to begin the same experience in their own schools. Their advice provided some valuable suggestions: Start small; begin by trying to incorporate just one activity with the device each day. Don’t try to be the expert; empower your students by letting them discover new tools on their own, or appoint an “App Captain” to become the expert for the class. They also shared some of the Apps they use most: Padlet, Notability, Explain Everything, Thinglink, Doc Scan HD, Book Creator, and myHomework. As a District Technology Coach and Special Education Coordinator, Amy Everhart, from Liberty-Perry Schools is an expert at making accommodations with iPads. In her session, Everhart led participants through dozens of features embedded in the iPad’s settings window. With a little practice, students can depend on their iPad to define terms, read selected text, and take dictation. 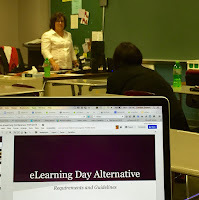 She also demonstrated Guided Access, which is a feature that can be used to block certain buttons and confine a student within an app for a predetermined amount of time.For details about these and other tips, check out Everhart’s online presentation. Organization, time management and productivity - what tools can help with these challenges experienced by all educators and coaches? 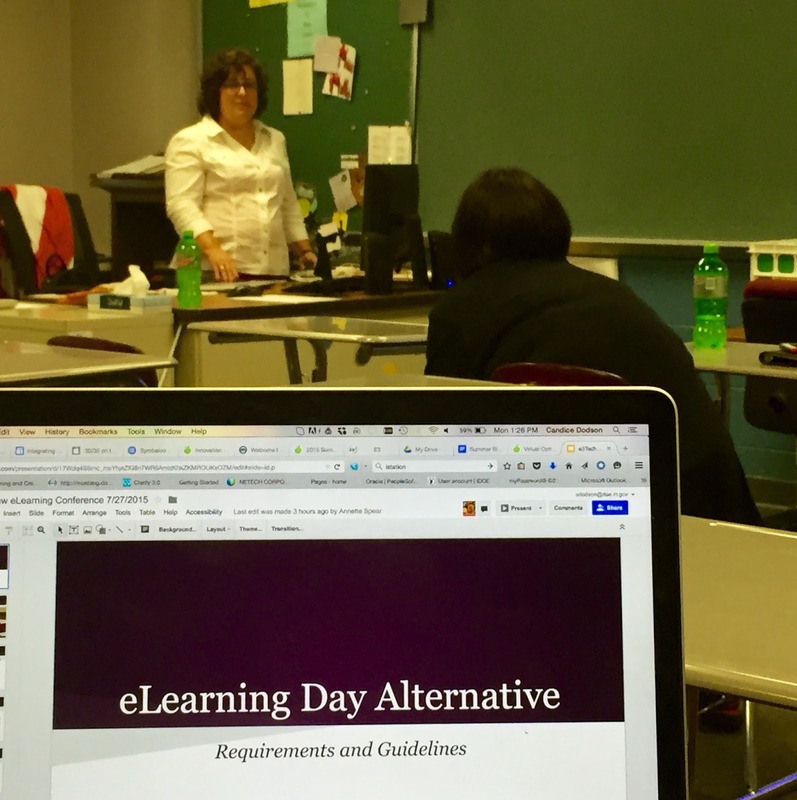 Shelley Coover, instructional coach for Noblesville Schools, took participants through valuable tools that can make all of our lives easier and more productive. Need to share a list with others over multiple devices? Wunderlist gets it done. What about organizing all our "stuff", that tool is Evernote. While most of us know about Chrome's extensions, are you aware of the Chrome "Black M"? An underground market of even more extensions. Coover makes the great point that tools are wonderful, but making those personal connections, and affirming the learning of those you work with are keys to successful learning. To connect with Shelley and get these tools and more, check out her presentation. 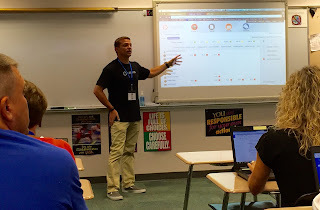 Jared Stein, Director of Knowledge Resources for Canvas, addressed student-centered learning and the power of connecting F2F during his Keynote. Canvas, a vendor partner of Noblesville, brought Stein to Indiana to share thoughts and ideas on how online technology can connect onsite and offsite learning and elimate "Lossy" which is the loss of the feedback loop between students and teachers. Stein utilized research and video examples to explore the idea of student centered learning. The twitter stream supported Stein's ideas that all students should have a say in their learning. 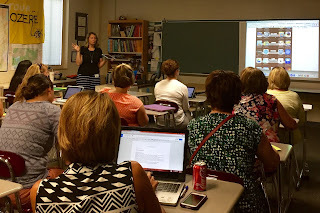 Noblesville Director of Learning Jennifer Wheat Townsend presented a session titled "Amping Up Instruction: Getting Learners to Think, Talk, and Connect to One Another Using Technology." She based much of her presentation on Heinemann's "Connecting Comprehension and Technology" and shared several powerful videos from the book. 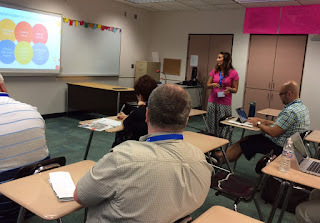 Jennifer shared many ideas for utilizing technology in the classroom including having students blog, utilizing a back channel program with students to share questions and answer those questions during a lesson or reading and using technology for monitoring and assessing. It was powerful to hear a student talk about the importance of connectedness in their work online. Jennifer ended her session by sharing the importance of being a connected teacher. Some ideas to get connected are collaborate with others, start with what you know, find a few powerful tools and use them, play with the technology, and reflect on what you've done and learned. Noblesville teacher Jamie Weiss and media specialist Addie Matteson shared their experiences with coding in their session, "Get Kids Coding with Scratch and Scratch Jr." They started by saying that coding teaches students perseverance, problem-solving and critical thinking; it's an important form of literacy and prepares them for the future; and students should know that computers do not run on magic. They began using Scratch on desktop computers, then at the same time Jamie's students got iPads, Scratch Jr. for the iPad was released. Jamie shared some examples of her students' work, specifically their favorite scene from a book. After a brief tutorial, Addie and Jamie gave participants time to create a their own project. Everyone seemed to have a good time and experimenting and seemed to be excited to take Scratch back to their classrooms. Join in all of the learning @ iPadpaloozaIN and look for Office of eLearning Team out on the road as we head toward end of this Summer of eLearning! Will we see you at East Noble, Greater Clark, Lafayette, Warsaw, or Penn Harris Madison?